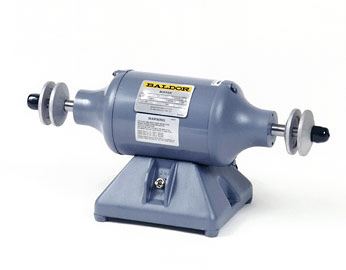 Baldor Industrial Buffers are made to use with soft cloth buffing wheels and buffing compounds. Used for buffing and polishing objects to various degrees of luster. Includes flanges and nuts. Hub Width Min/Max: 0.50/1.25" 0.5/1.5" 0.5/1.5"